Privacy is a big concern on the internet and the only foolproof way to keep your information private is to use encryption. That said, if you are looking to keep your email conversations private, then you should send encrypted emails instead. 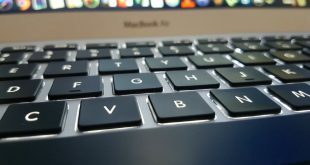 There are many services out there that will let you send encrypted emails and in this post, we will list six of the best email services that offer end-to-end encryption for your email conversations. Note: These email services can encrypt your data, but they should not be used for illegal purposes. The company running the service can still decrypt emails and see the content if there is any legal action taken against you. Mailfence is one of the most popular email encryption services that offers a complete solution to send and receive encrypted emails. The service is held in Belgium, therefore it doesn’t come under the US laws that are known to force companies to give up data. If you are going to send an email to another Mailfence user, then the encryption is automatically applied and all the data is kept on Mailfence servers. However, if the recipient is using any other email service, then you will have to encrypt the email with a key and the recipient must use that key to open the email. Emails are not the only thing MailFence can encrypt, it can also encrypt your contacts, calendar entries, and even documents. I found MailFence interface to be very intuitive and easy on the eyes. With a few clicks, you are ready to send an encrypted email using their handy email composer. You can also bolster account security by enabling two-factor authentication. Pricing: With the MailFence free account, you will get 500MB of space for emails, 500MB for documents and only 2 users can control the account. But if you want more, Mailfence offers two different plans called Entry and Pro for €2.5 per month and €7.5 per month respectively. The paid plans increase the storage limit and give you access to additional features like support for POPs, IMAPs, SMTP, iOS, Android, Exchange and custom domains. Hushmail offers separate solutions for both individuals and businesses, so it is easier to get what you really want. With the personal account, there aren’t many confusing options to overwhelm you. The service works like any other email service while lettings you send encrypted emails to both Hushmail users and users using other email services. If you send the email to another Hushmail user, then the encrypted email will be immediately sent without any manual intervention from your side. 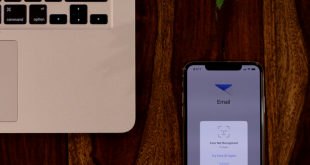 If the recipient is using any other email service, then you will have to provide a security question and an answer that both you and the receiver must know. The recipient can answer the question to open the email in Hushmail’s secure interface (no sign-up needed). For businesses, Hushmail offers different features such as — HIPAA compliance, administrative tools, multiple accounts under same address and many custom solutions depending on the nature of the business. Pricing: Hushmail is a paid service that costs you $49.98 per year for the personal account and custom rates for business accounts. Although it has a free service as well, it only offers 25MB space and phone verification that many people won’t be comfortable with. This is a rather new service and still in its beta phase, but it’s improving by leaps and bounds. I really liked the light and simple approach by SCRYPTmail that doesn’t put too many restrictions on account usage. You simply sign up and you are ready to send encrypted emails. Like other services on this list, all emails to SCRYPTmail users are encrypted by default, but you will have to provide a PIN code to encrypt emails sent to other email services. Interestingly, if the recipient enters a wrong PIN 3 times, the encrypted message is deleted instead – a good security move I would say. Pricing: SCRYPTmail used to be free but they ended the free plan back in May 2017. To use SCRYPTmail, you need to pay $2 per month. Other than that, the service also offers flexible plans so that you can pick and choose which features you would like to pay for. There is a free 7-day trial available if you want to test drive the service. If you don’t trust the above services, then you might be interested in an open source email encryption service. 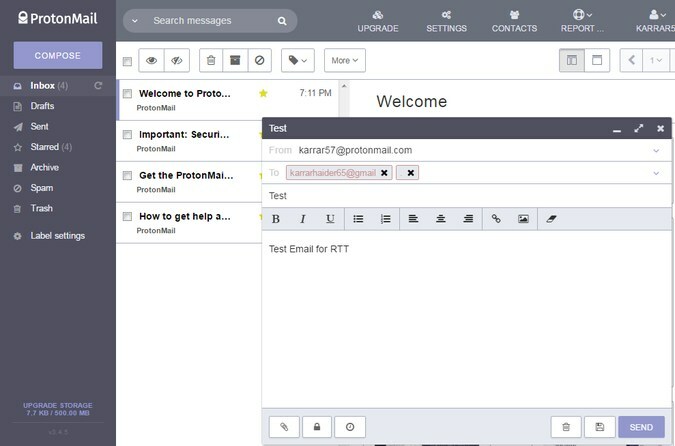 ProtonMail is an open source email service that offers amazing features for free. ProtonMail comes under strict Swiss laws, so you should expect reliable privacy and security features. Additionally, it doesn’t ask for any identifiable information to create your account. Simply create a new email account and start sending encrypted emails; they will not even track your IP address. Its interface is not as easy as others on this list, but it is very interactive and should be easy to get a hang of it with a little effort. 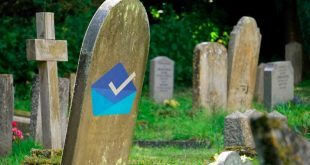 The encryption works similar to other services, but it comes with an interesting self-destructing feature that allows you to destroy the sent email from the recipient’s access after a specific time. The free account will work fine for most users. Although you can opt for the paid version to get more storage and custom domains. Pricing: The base account is free and gives you 500MB storage and has a hard limit of 150 messages per day, which is quite enough for any normal user. To increase the limits, you can go with Plus, Professional, or Visionary plan which costs you €5 per month, €8 per month, and €30 per month. Depending on what plan you chose, you will get increased storage, addresses, and users. You can know more about the pricing from here. 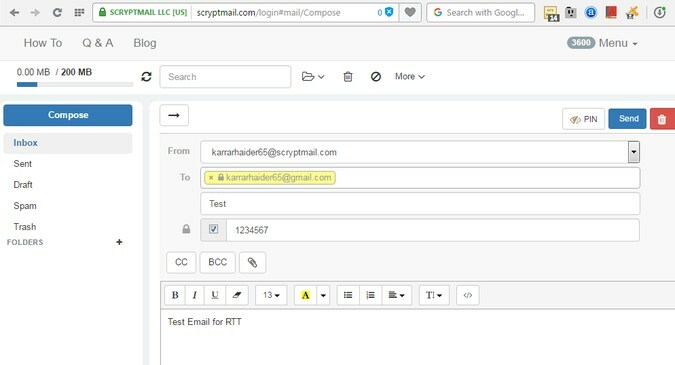 If you don’t want to send encrypted emails using a separate service, then you can use Secure Mail for Gmail Chrome extension to send encrypted emails right from Gmail. Unfortunately, both you and the recipient must have Secure Mail extension installed to be able to exchange encrypted emails. If you can fulfill this prerequisite then it’s a great free solution for sending encrypted emails from Gmail. Once installed, Secure Mail will add a button next to the “Compose” button in Gmail. If you want to send an encrypted email, just click on this button to compose an encrypted email. When you send the email, it will ask for a password and an optional hint. 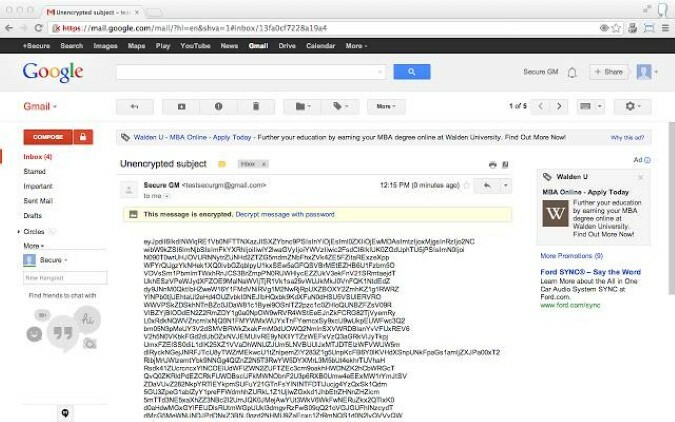 The recipient can use that password to decrypt the email and see the content. If the recipient doesn’t have Secure Mail extension, then they will see a link to install the extension instead. Though the website looks dated, CounterMail is one of the best at offering encrypted email services. Just like the other services on this list, CounterMail uses 4096 bit OpenPGP email encryption for secure communication. What makes CounterMail special is that they are located in Sweden where privacy laws are strict and unlike other services, CounterMail won’t store your emails on hard disks or data banks. Instead, they store on and use only CD-ROMs, which is quite safe from data leaks and breaches. Other features of CounterMail include but not limited to two-factor authentication with USB key, dynamic aliases, support IMAP, ability to use a custom domain, secure forms, dynamic aliases, MITM (Man in the Middle) attack protection, etc. Pricing: CounterMail is a completely paid service. There is only a single plan and depending on the plan duration, the price may be any where from $19 (for 3 months) to $59 (for 12 months). For every account, you will get 250MB storage. If you want extra storage, then you need to pay a one-time depending on the storage size. For more information, you can visit this page. I like ProtonMail for its open source nature and privacy thanks to being under Swiss laws. Although SCRYPTmail is also a great emerging service to send encrypted emails. For extra paranoid, you might want to look at CounterMail. Which one of these email encryption services do you like? Do share with us in the comments.